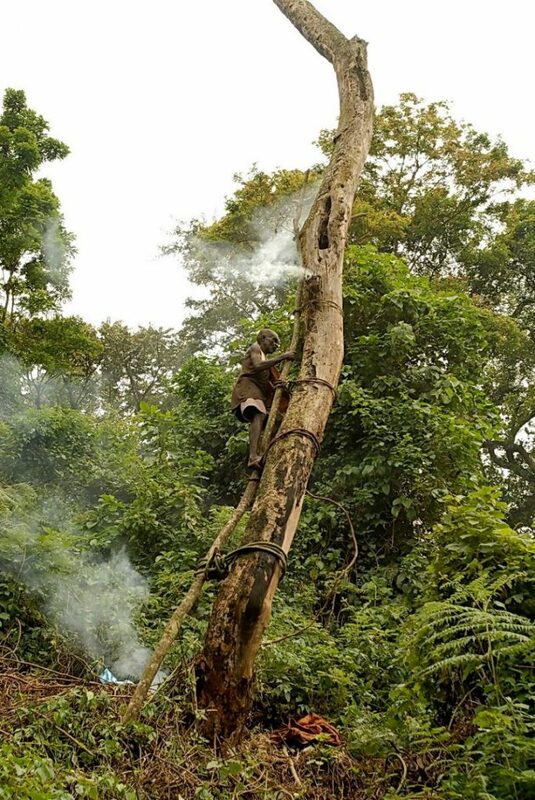 Batwa in Bwindi Impenetrable Forest gathering food. 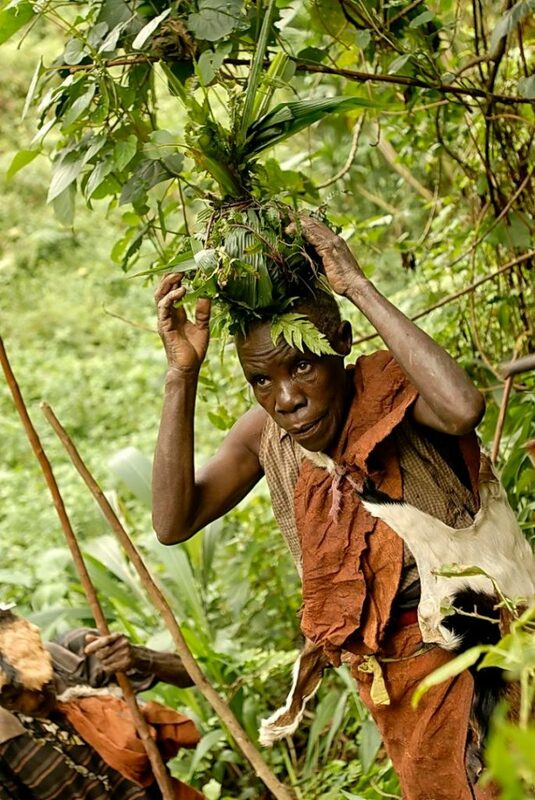 A Batwa legend might explain the lowly status of the people found in Uganda, eastern DRC, Rwanda and Burundi. A man, Kihanga, had three sons named Katutsi, Kahutu and Katwa. One day he called his three sons and gave each of them a gourd full of milk and the following morning, he asked them to give him back the gourds for him to place inside a shrine. Katutsi brought back his gourd and it was still full of milk; Kahutu’s receptacle was only half full while Katwa’s container was completely empty. He had drunk all the milk in the night. Their father then blessed each of his three sons based on how responsible they had been with the gourds of milk. Katutsi was blessed with all his father’s cows which would help him and his children to prosper for generations. Kahutu was blessed with a hoe and seeds which would help him to grow food in his lifetime and for generations to come after him. Katwa was given the forest and all that was in it; he was to survive by hunting and gathering. Many generations passed and their descendants multiplied. The descendants of Katutsi and Kahutu became so many that they could no longer be satisfied with what they had and ended up encroaching on Katwa’s forest. In the end, they chased Katwa’s descendants from the forest and made them live as beggars and landless people. The fate of Katwa’s descendants in the legend mirrors their situation in real life. 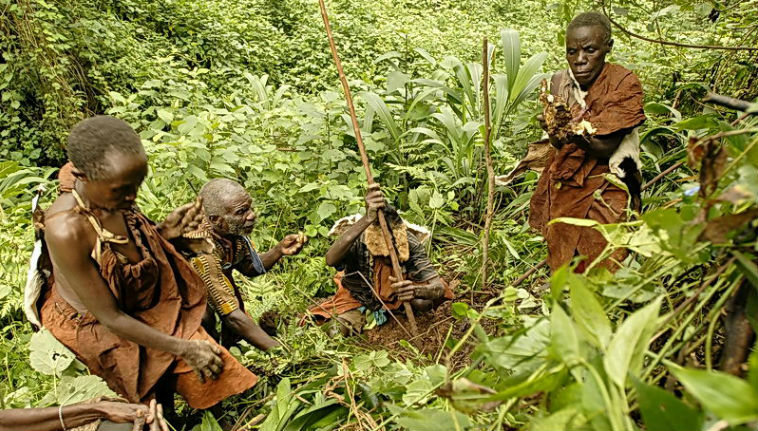 In 1991, the Batwa in Uganda were evicted from the forests they had lived on since time immemorial. As a result, most were left landless and impoverished and, to survive, they resorted to begging and life as labourers on other people’s land. This how the gathered food is taken home for preparing. 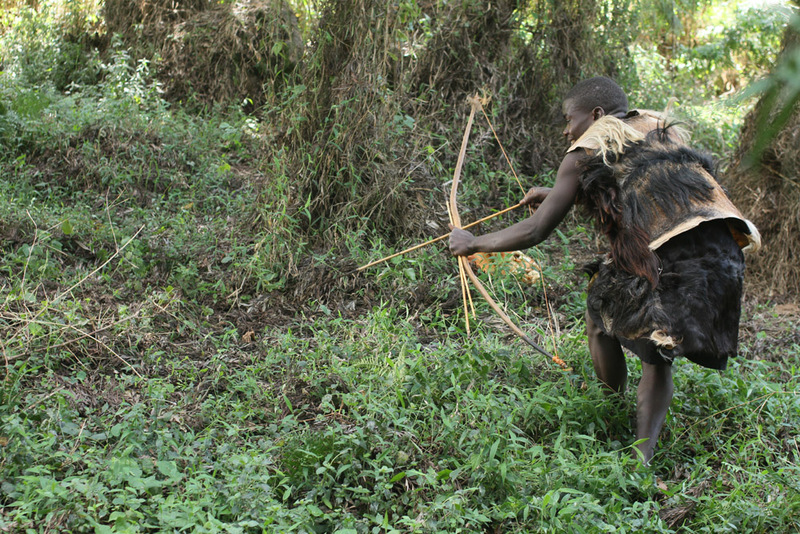 As in the legend, originally the Batwa were forest-dwelling hunter-gatherers, living and practising their cultural and economic way of life in the high mountainous forest areas around Lake Kivu in Rwanda and Lake Edward in the Great Lakes region of Central Africa; today, the Batwa way of life, their cultural, spiritual, and social traditions, are at risk. Even at a young age, the hunting skill comes easy. It’s in the blood. How honey is harvested in the Twa culture.